The rapidconnect Loose Tube Fibre Optic Cable is manufactured in Australia for Australian conditions. Whether this be Nylon Jacketed, a PE Sacrificial Sheath or whether it is offering a 100% Rodent Proof Loose Tube Fibre Optic Cable – you can be certain that the rapidconnect product has been designed with the very unique environmental conditions that Australia offers. Internal dry water blocking technology improves the working environment whilst simplifying the work site clean-up. All rapidconnect Loose Tube Fibre Optic Cables are available to be used as part of the rapidconnect 25 Year Enterprise Cabling Infrastructure System Warranty. A wide range of OM3, OM4 and OS2 Loose Tube Fibre Optic Cables are carried in stock to suit what ever your needs are. 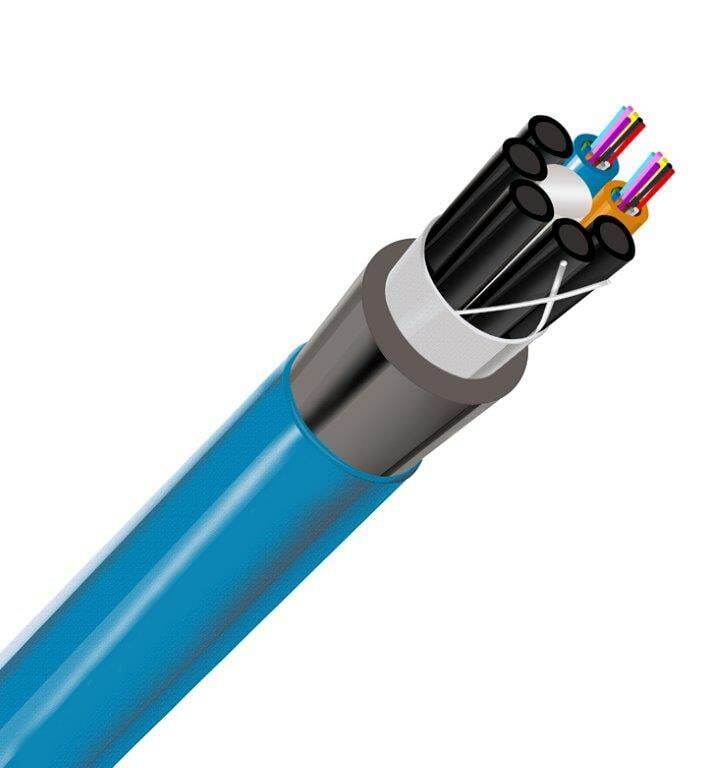 rapidconnect Loose Tube Fibre Optic Cable can be manufactured with the addition of an optional Black PE (Polyethylene) Sacrificial Sheath. This is often used where the integrity of the Nylon Jacket must be retained. The PE Sacrificial Sheath is installed over the top of the Nylon Jacket in the manufacturing process and simply acts as an additional barrier to ensure that there is minimal damage to the Nylon Jacket. The bonded sheath allows for a small, light-weight and flexible cable. This technology enables a thinner Nylon jacket that prevents the nylon from wrinkling when the cable is bent, therefore conserving the cables protection against termites.